I have a SON Edelux II light fitted to the crown of my forks. Will it work as it is with this rack, or will it need mounting on the rack itself? 99% of front racks will not allow your light to be fitted to the crown, the rack will be in the way. Will this fit a Thorn Raven MTB? How thick is the NDS spacer please? 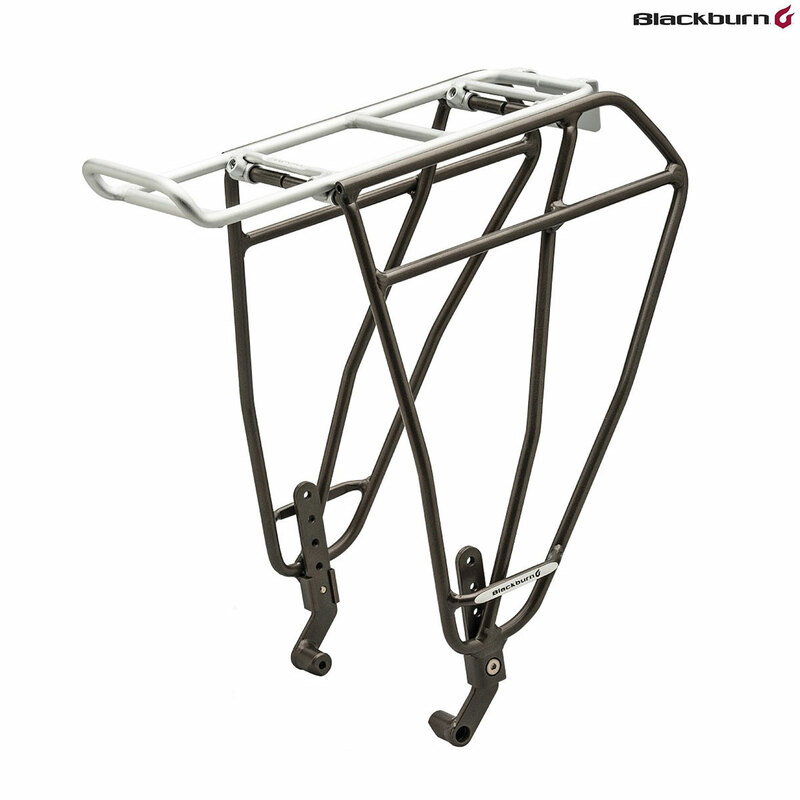 Blackburn Outpost Fat Bike Rack - can I fit this to a bike with 700 x 28C wheels/tyres? You should be able to fit this without an issue, however as we have never done this we cannot say for certain. Will I Need A P-Clamp? You will indeed need P-clips to fit it to a fork without brake bosses or rack mounts. We have never tried to fit one of these racks to a suspension fork at all though so we don't know how the rest of the clearances will line up I'm afraid. Is this the answer to our prayers? Will it work with a Surly Krampus??? We have never fitted one of these racks to one of your bikes so we're unable to say for sure I'm afraid, but as this rack is designed to be universal then it should fit fine. can you send me a Rack to Germany?? I don´t can buy the Blackburn Outpost Fat Bike Rack in Europa. What is the price for shiping? We can ship to Germany that's no worries, the price varies depending on the size of the items you are ordering. Add all of the items you are looking at into your basket and once you have added a valid delivery address the website will calculate the shipping cost for you.